Today’s post goes out with a Happy First Birthday to my daughter, Claire Caroline Wren. Our Name of the Day was worn by Clio’s great-great-grandmother: Chiara. I don’t know much about Chiara Nobile, but I do know that the name she was given in Naples didn’t transition well to New York. At Ellis Island, the clerk called her Katie. In official records, she is sometimes Chiara, and sometimes Chiarina, a diminutive form. As Italian families often do, Chiara’s name was handed down to many of her American descendants. They became Claire, Carina and eventually Clarina. While honoring family mattered, and my forebearers fearlessly bestowed heirlooms like Filomena and Francesco, every one of my extended seems to have agreed on one thing: Chiara just plain didn’t translate. They weren’t alone. Despite plenty of immigrants who arrived with the name, Chiara has never charted in the US Top 1000. Derived from the Latin clarus, she means clear or bright. The thirteenth century noblewoman Chiara Offreduccio is remembered to history as Saint Clare of Assissi – St. Francis’ associate and the founder of the Order of the Poor Ladies, better known as the Poor Clares. Clara was a Top 10 pick in the nineteenth century and a Top 100 mainstay right through Clara Bow’s reign as the It Girl. And that’s her drawback. Style-wise, she fits in seamlessly with Isabella and Alexandra. But she’s so very unusual that a Chiara born in 2009 might find herself answering to she AHR ah, CHEE rah and other manglings. But if you can overlook that, Chiara could be an intriguing import for those seeking something unexpected. 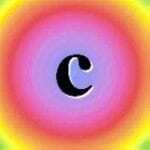 Is C the new K? I remember when I first saw this name when I first went to Italy. I was 10 years old and visiting Assisi and we went to see the tomb of St. Claire of Assisi. I thought it was pronounced (chee-AHR-ah) and instantly fell in love with it. I was so disappointed to learn that the CH was actually a K sound. I didn’t like it as much. I still like it, but not as much as I did when I thought it was (chee-AHR-ah). Thanks to all for your birthday wishes! And yes, a year just FLEW by. The Lion King came out in 1994 and the sequel came out in 1998. http://www.imdb.com/find?s=all&q=the+lion+king If the name appeared in the top 1000, it was influenced by something else, I think. LOL, Photoquilty – hey, congrats on Fuzzhead! Chiara is a decidedly pretty name and would be a welcome relief from all those little “k” babies. However, I can fully appreciate its pronunciation problems; when I first saw the name — being uncertain of its origins — I was not sure how to pronounce it myself. Has it been a year? Not really. It can’t be! Happy birthday, Clio! Chiara is a gorgeous name. It will never appear on my list, though, because of a bad association, unfortunately, and a relative who bears the name. I’m genuinely shocked Chiara is such a rarity and perceived as a name that does not translate. It’s a fairly common name in Italy, I believe; in any case I’ve heard of the name multiple times before, which leads me to this conclusion. The pronunciation seems straight-forward and fairly intuitive (yes, one must understand the in Italian Ch is said “k,” but really, we have plenty of Ch names with that “k” sound – Christine/Christopher and variants, so it’s not all that foreign a concept). I actually quite like the name, even if it’s a little on the girly girl side for my personal use/tastes. With Sarah, (Angelina Jolie’s) Zahara, Zara, etc., it seems Chiara should be much more popular.